Why Are We Losing Our Black Male Student-Athletes? Product prices and availability are accurate as of 2019-04-18 03:00:43 UTC and are subject to change. Any price and availability information displayed on http://www.amazon.com/ at the time of purchase will apply to the purchase of this product. 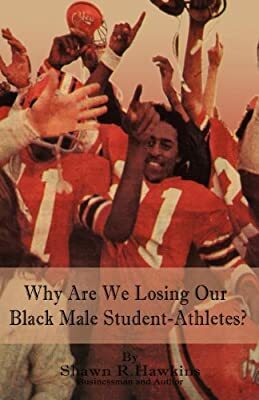 Author Bookstand is proud to offer Why Are We Losing Our Black Male Student-Athletes? by Bookstand Publishing. Bookstand Publishing offers books by the best indie authors throughout North America and the world. Bookstand Publishing is dedicated to offering original content to a broad audience and promoting great authors, literacy, and freedom of expression. Why Are We Losing Our Black Male Student-Athletes? has generated a lot of interest and excitement and we think it would be an excellent addition to your library. My reason for writing about the Black Male Student-Athlete is because he has the highest high school drop-out rate. Most Black Males drop out of high school by the tenth grade. 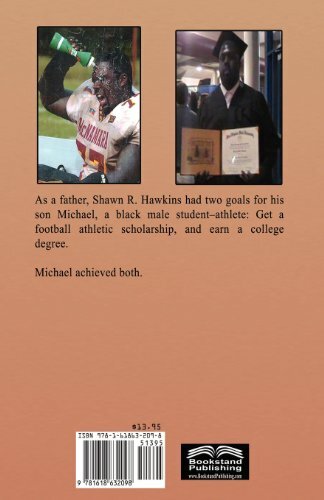 Our Black Male Student-Athletes are not prepared academically at an early age to complete high school and college eligibility requirements, receive scholarships, attend college, and earn degrees. The formula for resolving this situation is: Black Male + Student-Athlete + Sports + Academics + Elementary School + Middle School + High School Graduate + College Scholarship + College Graduate = College Degree + Bonus: A Professional Athlete with a College Degree. WHY ARE WE LOSING OUR BLACK MALE STUDENT-ATHLETES? outlines why starting children out in academics at an early age is just as important as starting them out early in sports. In particular, this book provides the Black Male Student-Athlete with a how-to approach to academics. The Black Male Student-Athlete picks a sport, or two or three, at an early age. However, the Black Male Student-Athlete must also receive help with his academics at the same early age. It is just that simple. Or is it? While sports are staying the same, academics are becoming increasingly more difficult, making it harder today for the Black Male Student-Athlete to graduate from high school with a diploma, let alone get into and out of college with a degree. So...What can be done about this? The answers are in this book. Yeah Mon! : Come Chat Wid Mi!